The Designer was successful in blending new design elements with the original structure creating a bathroom that is both balanced and unique. 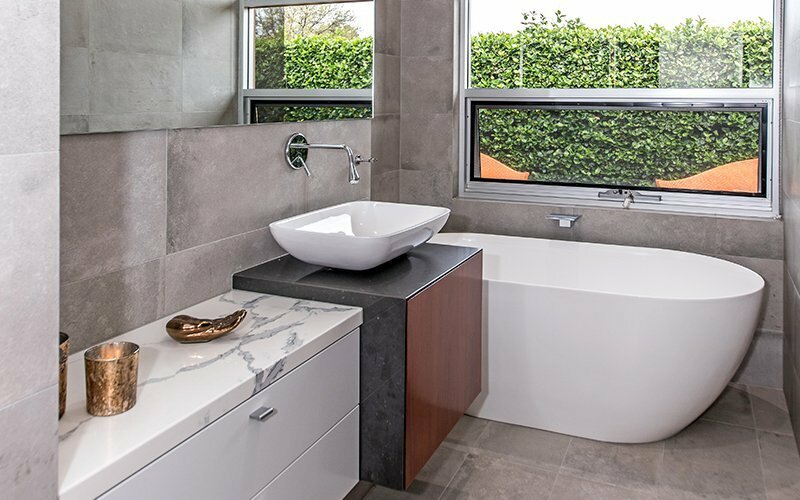 A place of relaxation and peace to recline in the gorgeous clay mineral, light weight freestanding bath, it was chosen specifically for its organic inviting form. The free flowing edge bath outlet is in keeping with the theme. 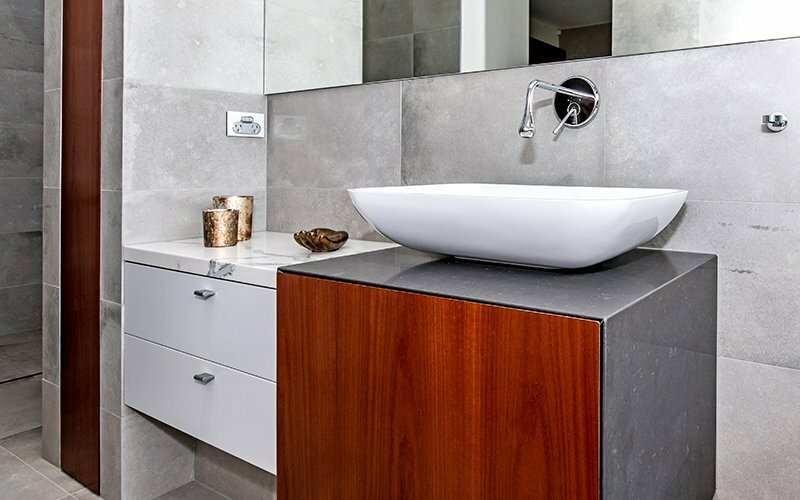 Undoubtedly, the focal point would be the integration of the custom jarrah veneer timber vanity with stone envelope to the rest of the home and sets the style of the room. 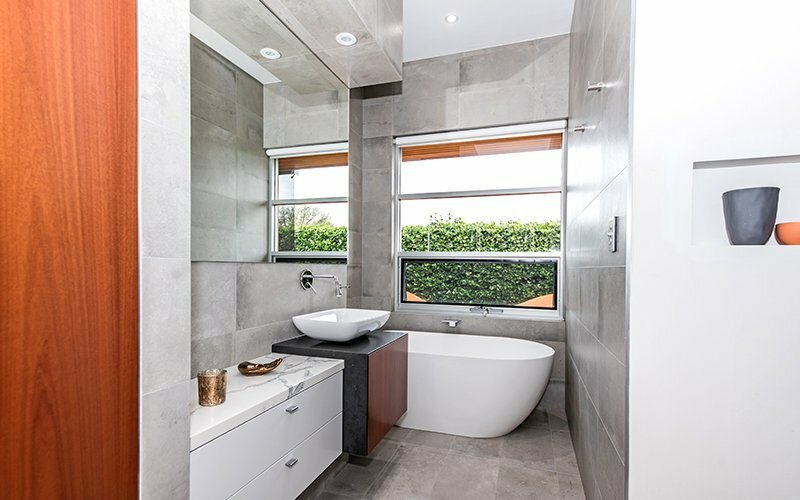 The floor to ceiling large format tiling is in a calming shade of grey giving contrast to the warm timber accent and creates a mixed palette. A large mirror was an inclusion to echo the detailing of adjacent rooms. The Goccia tapware range has an unprecedented concept that elevates matter, form and function. It features a natural elegance. 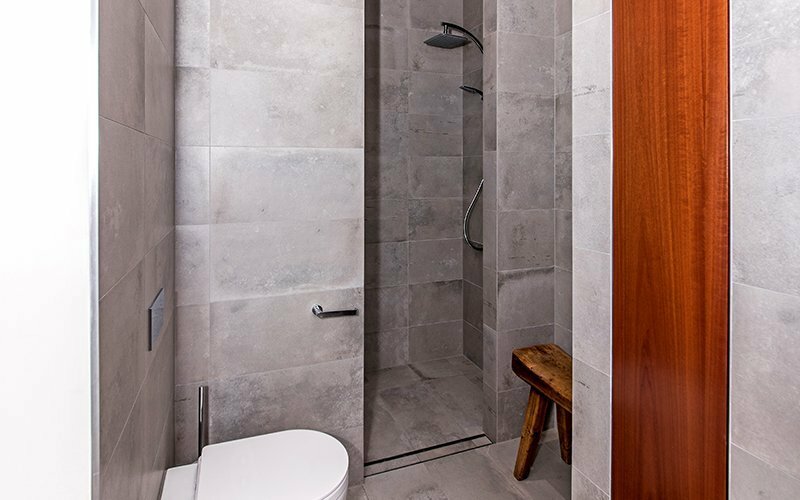 The inclusion of an open shower with dual rain and handshower and concealed wall mounted toilet suite enhances the free flowing energy.